My friend Oliver requested that I try my hand at making a cheesecake. 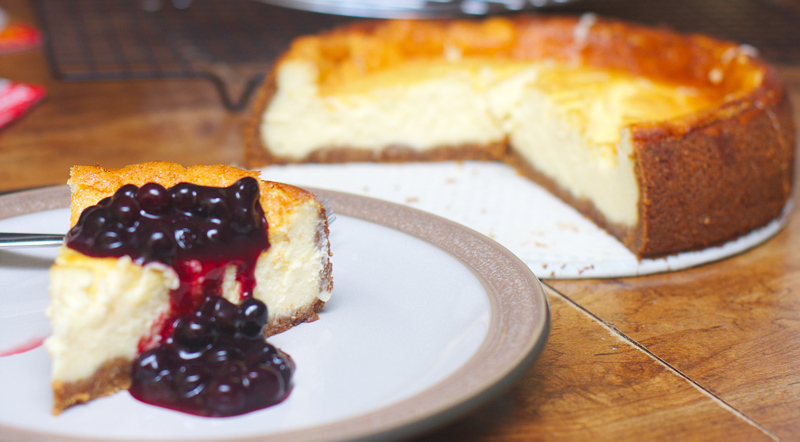 I had only ever attempted a cheesecake once a few years back when the grocery store had a huge sale on cream cheese. My attempt back them was a huge failure, and I think I was turned off since them from making another attempt. Fast forward a few years, a new confidence in the kitchen, I figured it was time to master a cheesecake once and for all. I found a fitting recipe from the ever faithful Maida Heatter and got to work. 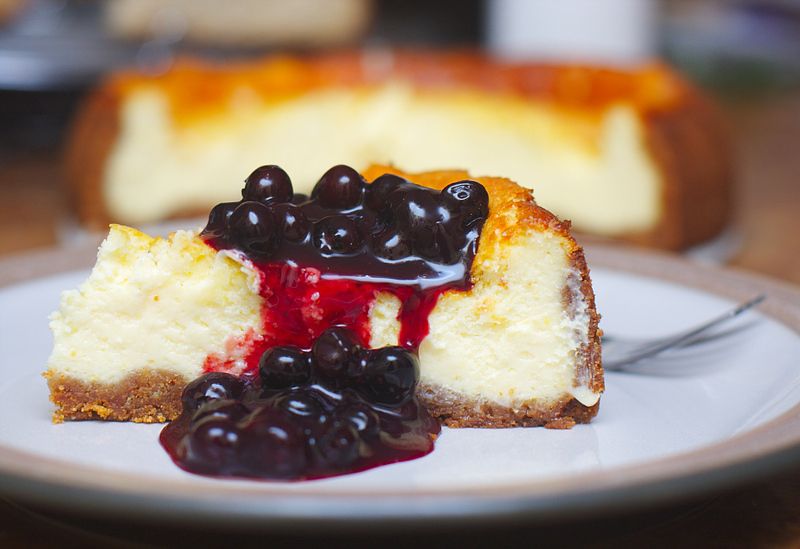 What I discovered was that making cheesecakes are a lot simpler than I had thought, and really makes me wonder how I blundered that first one so badly. Butter the sides of a 9/3 spring form pan, and place a piece of parchment paper along the bottom. Stir together the crumbs, sugar, and cinnamon in a mixing bowl. Melt the butter, then add it to the mixture, stirring (or mixing with your hands) until evenly distributed. Separate about 1 1/2 cups of the the mixture into another bowl for use later. Press the remaining mixture into the sides of the pan. You should not go all the way to the top of the pan, rather go about 2 inches up from the bottom. Make sure your sides are nice and straight. Use your thumb or finger to push down the crumbs to even things out. Next place the reserved crumbs in the bottom of the pan and spread them out patting them into the pan. Place the pan in the fridge until you are ready to use it. Preheat your oven to 350 degrees. In a large bowl of an electric mixer beat the cheese until it is soft and smooth. Add the sugar and salt beat until mixed into the cream cheese. Then one at a time add the eggs, beating well after each addition. Finally add the cream, vanilla and rind. Pour the mixture into the prepared pan, and bake for 1 hour 20 minutes. After baking turn off the heat of the oven, and open the oven door about 8 inches and let cool. Once cool, use a knife to separate the pan from the side of the cake, and remove the spring form. Put the cake in the fridge and cool for at minimum 2 hours before eating. When serving the cake you can garnish it with fruit sauce. Blueberries or Strawberries work well. I was happy with my latest attempt at a cheesecake. While I did find the top of the cake cracked slightly, I think it was due to having too hot an oven. I have also read that baking the cake in a water bath also helps to prevent cracking. Another winning recipe from Maida Heatter.